Small and medium businesses face an ever-increasing need for data consolidation and document sharing. 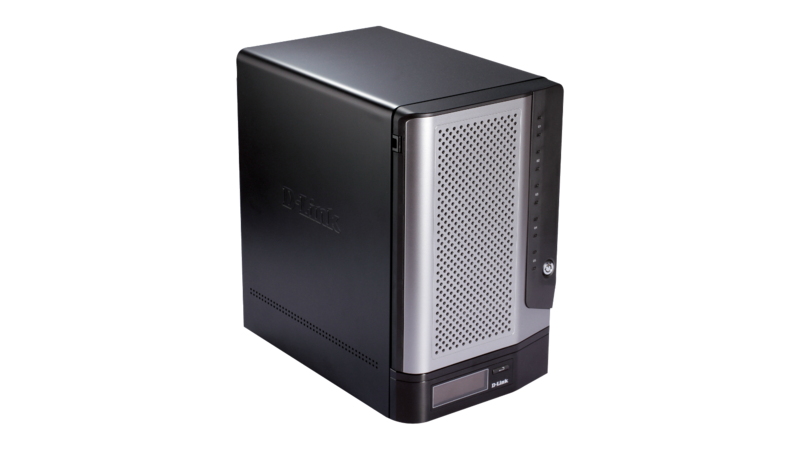 The D-Link ShareCenter™ Pro 1200 NAS addresses these growing data storage requirements, and provides a multitude of additional options for managing and securing important files. ShareCenter™ Pro 1200 integrates a NAS file server which takes full advantage of the accelerated performance provided by iSCSI. Files can be shared across the network or over the Internet via FTP or an intuitive web file manager, to users with the appropriate credentials. 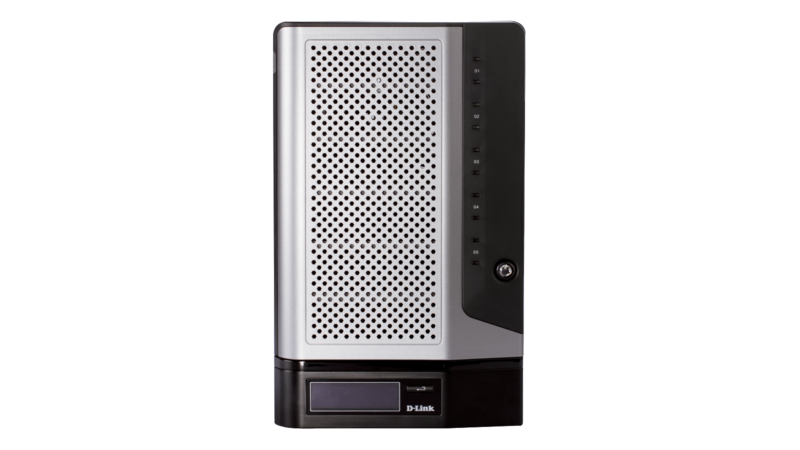 Small Businesses will appreciate the DNS-1200-05 NAS file server which takes advantage of the accelerated performance of the quad-core CPU. Providing up to 7200 MIPS of computing power and 1GB of cache memory, the DNS-1200-05 is able to provide the performance required for your business and its future growth. ShareCenter™ Pro 1200 offers several backup options which allow administrators and users to control how, when, and where their data is stored. Remote backup will keep a copy of your files on a remote NAS over the Internet for extra data protection, and volume snapshots can backup a whole volume in a few minutes in contrast with traditional backup schemes that can take hours. iSCSI offers exceptionally fast access performance thanks to block-level data transfer. iSCSI targets appear as a local drive on a client PC. Operations such as configuration, provisioning, and backup can be handled by the administrator in the same way they would be for directly attached storage. By utilising existing Ethernet technology, the cost associated with separate host bus adapters and the per-Gigabyte cost for storage can be significantly reduced. Account management features include the ability to manage users/groups and Read/Write permissions. Create users, groups, and iSCSI targets with password authentication. Additionally, VLAN tag support combined with AES encryption keeps files secure. iSCSI implements a Challenge-Handshake Authentication Protocol (CHAP) to guarantee secure access to the storage system. USB connectivity provides the option to establish a printer server, monitor a UPS, or connect USB devices such as hard drives and flash storage. 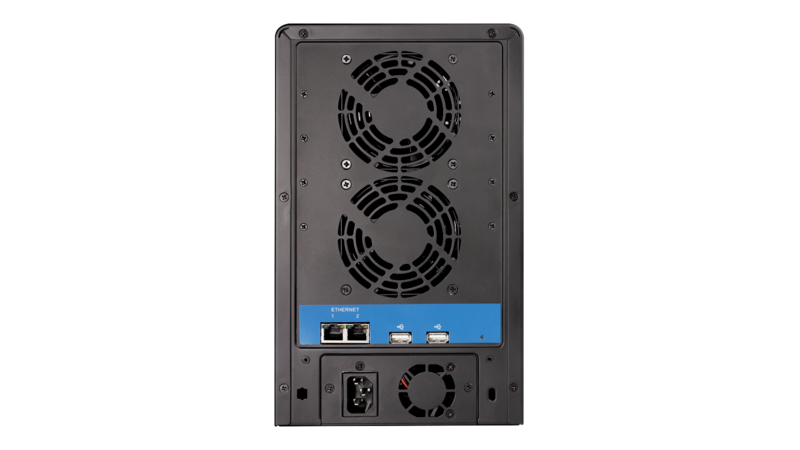 ShareCenter™ Pro 1200 features 5 Serial ATA (SATA) disk drive bays supporting 2 TB hard drives in RAID level 0, 1, 5, 5+Spare, 6 or JBOD configurations. IT administrators can quickly deploy a network storage solution using inexpensive SATA disk drives, and can add more drives depending on storage needs. Additionally, S.M.A.R.T. disk diagnostics helps to ensure hardware integrity and warns of possible failures before they occur.